Understanding Is The Force That Helps To Comprehend Life. It Makes Life Adorable And Habitable. Everything Is Outstanding By Understanding. Life Will End On The Average Without It, But You Will Lead Your Equals If You Have It. Understanding Is The Force That Boost Energy For Continuity And Attracts Meaning To Life. When Others Stop Understanding Won’t. When Others Don’t Understanding Will. 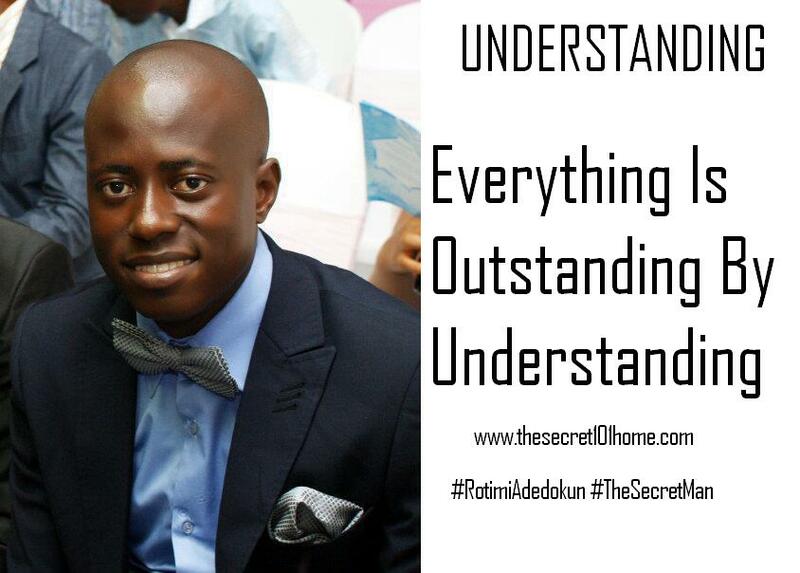 Understanding Is The Secret At The Source Of All Success. Understanding Determines The End Results Of All Action. Your Level Of Understanding Will Determine Your Level Of Results. Remember Some Produce Thirty, Some Sixty And Some Hundred Fold. This entry was posted in Creation and Wisdom, Life and Time Management, Self Development, The Peace, The Secret, Vitamin Of The Mind, You! and tagged Bishop David Oyede, Jim Rohn, Pastor E A Adeboye, Rotimi Adedokun, Understanding, Understanding Understanding. Bookmark the permalink.